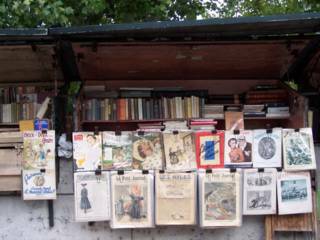 A book stall along the Seine in the middle of Paris. There are many of them each selling it's own unique selection of antique and new books, prints & engravings, retro magazines and old vinyl LPs. We did a bit of shopping as we walked along towards the river bank.